My name is Shine. I’m a Christian and I come from Myanmar. I was born the youngest son of my parents in 1984 in a small village called High Pat. I have three elder brothers and two elder sisters. My parents were farmers and they worked very hard. All our family members were happy and satisfied with their lives. But when I was ten years old, my father got a stroke, so I stopped school for one year to take care of him. He died after a year, and this presented my family with many challenges. My mother was so puzzled about how to continue with six children. At that time, many people in our village did illegal drug trading. My mother thought that would be the best way to make a living for our family, so she became involved in that trade. Unfortunately, she was caught and arrested and put in jail for ten years. My two sisters and I were sent to Kalaw in southern Shan State where my uncle lived. With his help I studied in Kalaw until I finished high school. My uncle is a pastor and he set up an orphanage for Danu ethnic children (who live around Kalaw) after I arrived there. My life in this new location was fine even though my family was separated. My uncle and aunt loved me and helped me with everything I needed. I didn’t have any IT experience until I finished high school. One day, when I was a high school student, the teacher took us to the computer room and let us press an English letter on the keyboard. I stood in line for one hour waiting to get the chance to press one letter. I will never forget the letter I pressed—T, and it took me ten seconds to find it. Today, even though I don’t know much about computer operating systems, I like troubleshooting programs, phone software, and application problems. Just as one example, I’ve helped many people with Android 4.1 install Burmese font on their phones because it is impossible to install without rooting the phone. So far as I have noticed, Shine has strong determination and clear destination for his further studies […] If he became a learned person with high skills, it will definitely be effective for his community and his motherland one day. 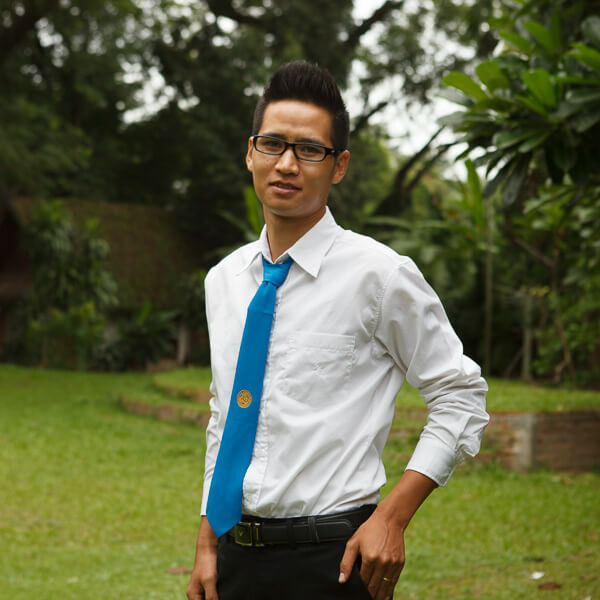 A year after graduating high school, I went to Yangon for further education. 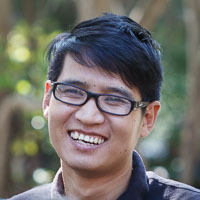 For three years in Yangon I studied courses in communicative English, business, and basic computer applications. I came to Thailand in 2008 by crossing the border and worked as a waiter and salesman. I met my wife in July that year, and in 2013 we married. I love my wife, Amm, very much. She works for Renske, an organization from the Netherlands that runs Kiddy Colors. Renske rents a two-story house and uses the downstairs as an office during the day. She lives quite far from her office so we pay half the rent to live there. I am a first-year student at Payap University studying IT. I believe that I’m in the right place because my dreams are coming true. Life at an international university has given me precious social and academic experiences. Even though there are many challenges, life is so fun at university. I have class Monday through Thursday and an IT study group on Friday. Usually I study my lessons and do assignments based on my daily schedule. I’m also a group leader at church, so I spend some time on church activities. A Zomia loan will benefit me a lot because it will help change my existing situation from earning a very low salary to finding a lucrative job. My educational goal is to finish my degree in information technology and become a computer programmer. Computer programming is important in our society and daily life, and programmers can usually have a higher salary than other professionals, even when the economy is down. At the very least, I can start my own business, such as a computer repair shop or an internet cafe. My wife and I have a dream of founding an orphan house in our future. Possibly, we can start with one or two homeless kids, and take in more later. What I have to do first is earn a high salary so that we can start our dream to help people in need and our family members who still live in Myanmar. Written by Shine with editing assistance from Zomia’s volunteer editors. 1994. At that time my father was still alive and my mother not yet in jail. My educational goal is to finish my degree in information technology and become a computer programmer […] At the very least, I can start my own business, such as a computer repair shop or an internet cafe.